While many would argue that Oprah's best audience surprise was when she gave away brand new cars, some Twi-hards would disagree. Oprah screened an early cut of "The Twilight Saga: Eclipse," the third installment of hugely popular Stephenie Meyer vampire series and invited members of the audience to the premiere, according to MTV. "The Oprah Winfrey Show" episode, which shot on Wednesday, will air next Thursday, May 13. Already, the lucky fanpires are giving their feedback on "Eclipse" and their favorite stars, including the love triangle between Edward (Robert Pattinson), Bella (Kristen Stewart), and Jacob (Taylor Lautner). According to the Web site, viewers confirmed that the anticipated scenes from the third novel, including the tent scene where Jacob shares a sleeping bag with Bella, and Bella and Jacob's kiss were all included in the rough cut. On fan, named Emily, sent a review of the movie to EclipseMovie.org and wrote, "David Slade did an amazing job, his shots and fight scenes were amazingly done. By far the best yet. They stayed completely true to the book – this had the most direct and almost direct quotes andddd LOTS of making out!! 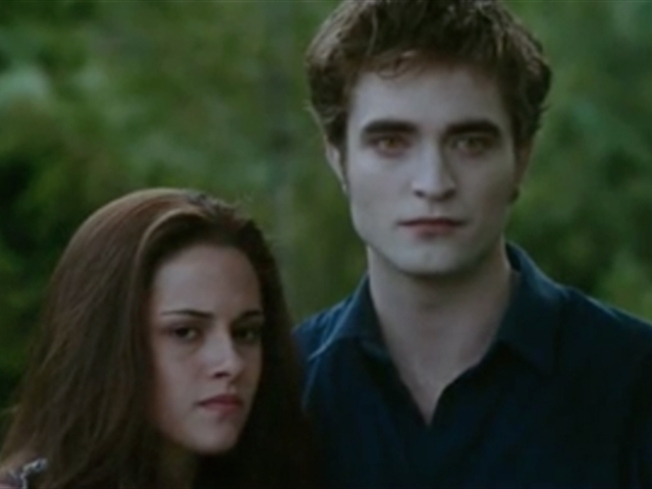 Very Edward and Bella focused which was great!" She went on to say that Jasper Cullen (played by Jackson Rathbone) is the breakout role of the movie. Meanwhile fans hit Twitter with their reactions. Courtneex3 tweeted, "OH MY GOD!!!! Eclipse was absolutely AMAZING. Better than both New Moon & Twilight! Holyy crappp =O"
As excitement kicks into high gear for "Eclipse," Summit is prepping for "Breaking Dawn," the fourth film in the series. "Breaking Dawn" will arrive in theaters on November 18, 2011, Summit Entertainment confirmed to Access Hollywood on Wednesday. Bill Condon ("Dreamgirls," "Gods and Monsters") was recently tapped to direct the film, joking in a letter to fans that there would not be musical numbers.